oodrich Castle is situated overlooking a crossing point on the river Wye a few miles south-west of Ross-on-Wye. First mentioned in connection with Godric Mappestone in 1101, an owner of land in the area, the castle probably consisted of a simple enclosure and watch tower. 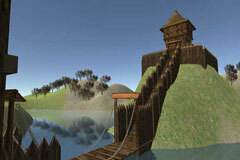 Henry II took possession of the castle and the keep may have been part of his limited improvements. During the war between Stephen and Matilda, the castle belonged to William Fitz Baderon, Lord of Monmouth (or the Clare family? ).The castle returned to royal ownership in 1176. In 1204, Goodrich was given to William Marshal, Earl of Pembroke by King John , but in 1245 on the death of William's fourth son, childless, the castle passed into the hands of William de Valence (half brother of Henry III). William de Valence and his son Aymer did extensive rebuilding work around 1280 in a style more common with the Edwardian castles of Wales. The bases of the corner towers form spurs which are designed to prevent undermining, a technique for bringing the walls of the castle down. Aymer de Valance died in 1324 and the castle passed into the hands of the Talbot family who were to become the Shrewsbury earls. 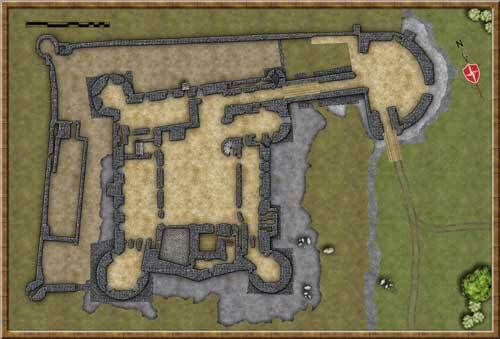 The castle is roughly rectangular in shape with towers at the four corners. Three of the towers are circular with a square base built into the rock. The gatehouse with chapel attached make up the fourth corner. The oldest surviving part of the castle is the Norman square keep. Built in the middle of the twelfth century. The orginal entrance woould have been on the first floor rather than at ground level. What is now a window would have been that doorway. The castle is built on a outcrop of rock which has been cut a way to create a wide ditch on the south and east sides. The entance to the castle is to the north east through the well defended barbican. 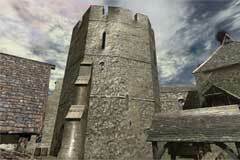 Any attacker would have to fight his way through the barbican to reach the gatehouse. 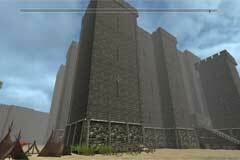 A drawbridge could be raised to cut off the gatehouse from the barbican. 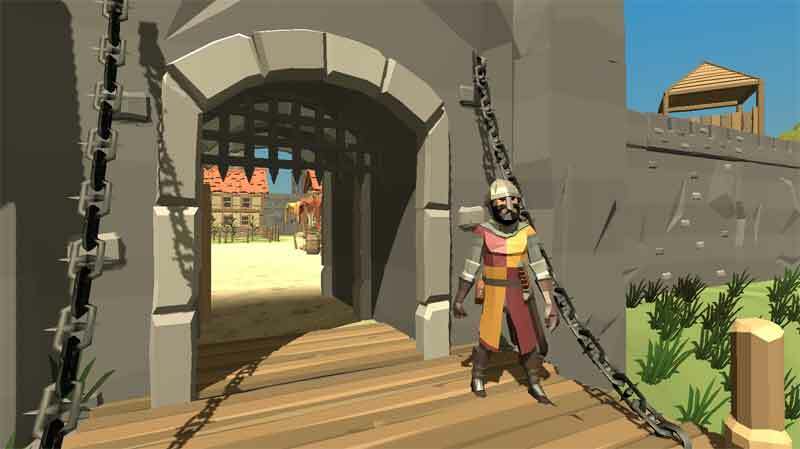 At least one portcullis defended the gatehouse passage into the inner bailey. The passage also has holes in the through which hot oil could be dropped onto the attackers from the rooms above. Ownership of Goodrich Castle was transferred to Henry Grey, the Earl of Kent after the death of the 7th Earl of Shrewsbury who died without a male heir. 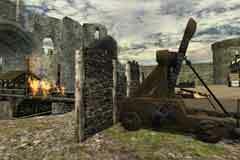 After a long siege the castle was captured by Parliamentary forces led by Colonel Birch. The order was then passed to destroy the castle so that it could not be used again. The order was carried out early in the following year.